David Weekley Homes, the nation’s largest privately-held builder, has built over 80,000 homes since its founding in 1976 in Houston. Weekley Homes was Named 2013 National Builder of the Year by Professional Builder magazine. We’re proud to say our overall Customer Satisfaction rating is 94%. In Jackson’s Grant on Williams Creek, David Weekley presents luxurious designs including ranches and two stories all built with our exclusive LifeDesign. Homebuyers will also enjoy working with a Personal Designer to customize their homes from our fully appointed Design Studio. 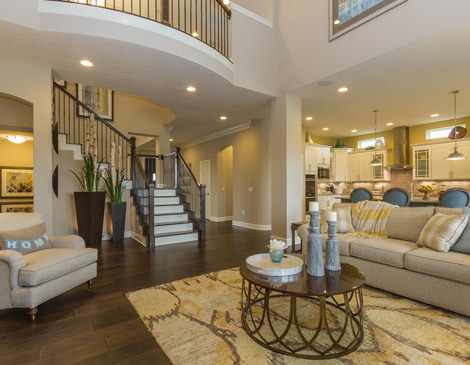 David Weekley Homes also finances the construction process for the convenience of our homeowners. Visit davidweekleyhomes.com for more information.